Who is the first President of India? Dr. Rajendra Prasad was born on 3 December, 1884 in Bihar, India. He died at the age of 78 and is buried in Patna (Bihar), India. By profession he was a political leader, teacher, lawyer and mainly the ‘President of India’. 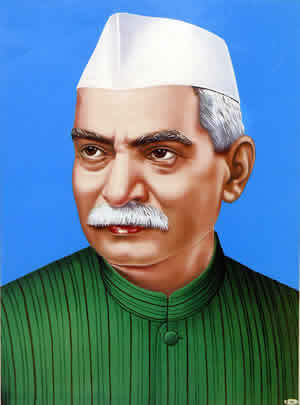 Dr. Rajendra Prasad had lived and worked in Patna since the establishment of Bihar Vidyapeeth on 6th February, 1921, to lead the ‘Freedom Movement’. After that he shifted to Delhi in 1946 as a Minister of Food & Agriculture. Then finally, in 1950 he became the first President of the Republic of India. As soon as he retired from presidentship, he returned to Patna on 14th May 1962 and preferred to stay on the campus of Bihar Vidyapeeth rather than anywhere else. Dr. Rajendra Prasad lived in this house until he passed away on 28th February, 1963. Dr. Rajendra Prasad served his career in various activities. However, he mainly began his professional career by practicing law in Calcutta (Kolkata). His curiosity in national enlistment led him to take part in the Champaran Satyagraha in 1917. He was a follower of Gandhi and travelled around all over the country spreading his principles. He served thrice as the President of the Congress (1934, 1939 and 1947) and in 1952 was elected as the first President of India.